Pro Sport is an add-on for very sport enthusiast. From American football to hockey to basketball, Pro Sport always has your back whenever you feel like watching any sport in the world. 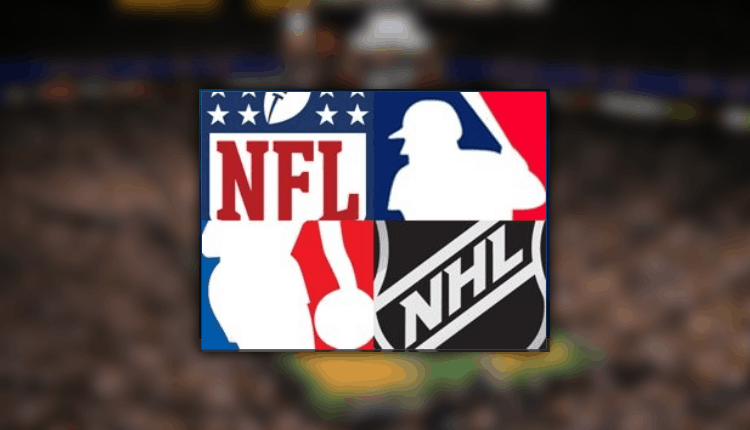 With Pro Sport, you can get live streams from NHL, NFL, NBA, MLB and much more. In this guide, we have provided a step by step detailed walk through on how you can Install Pro Sport Kodi addon easily on your Kodi and start watching live sport streams from anywhere in the world. Before we proceed, it is highly recommended that you use a VPN with Kodi to keep your Pro Sport streaming safe and private. Kodi users who have not subscribed to VPN services often receives copyright infringement notices while streaming live sports, TV shows and movies. This is because when you don’t use a VPN, your internet service provider (ISP) usually monitors your online activities. They can know what internet services you use, when you use them and how often. When you infringe copyrights, DMCA or any other related authority can just get your logs and identity from your ISP. You can then face legal consequences. We have seen this in the UK with illegal premier league streams. Vendors of fully loaded Kodi streams have also rubbed shoulders with the government. For this, it is therefore highly advisable to use a VPN with Kodi. To secure you, a VPN encrypts your data using various encryption schemes and then sends your traffic securely to a VPN server. It is through this VPN server that you are then connected to the internet. Your ISP can no longer see what you are doing online, and all they can know is that you are connected to a VPN. The value of the security and anonymity provided by a VPN when using Kodi can’t be overstated. Not only do you benefit from this, but you also get to circumvent geo-restrictions placed on content provided by Kodi add-ons. To get you started at the right place, IPVanish is the best VPN for Kodi. The VPN combines all requirements for a HD streaming VPN service and offers them in one place, to let you enjoy any sport on Kodi comfortably. You’ll see a pop up on your windows screen showing Pro Sport Add-on enabled if the installation completes. Now you followed this guide on how to Install Pro Sport Kodi addon, do not stream anything without running first a Good VPN like IPVanish on your device and you will unlock the world of sport streaming with Pro Sport Kodi Add-on. Alternatively, you can visit our review on the Best VPN services and pick the one fitting your needs. For more sports addons, have a look on our list of the Best Sports Addons of 2019. Hope you have liked this 2019 install guide on How to Install Pro Sport Kodi addon. If so, please share this guide with your friends; they’ll be more than happy.